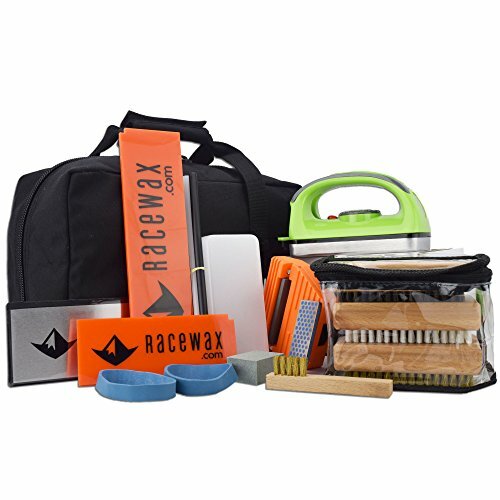 As a full time ski instructor in the Wasatch Mountains, I know what it’s like to spend time in some seriously rugged conditions. Take it from me, hand warmers are not a cheap way out – they’re often the difference between having a great day, and a terrible one. When the choice is between grabbing a hand warmer or potentially having to head inside and miss the killer storm blowing in, most people opt for the hand warmer. Unfortunately, it’s expensive to pick up hand warmers last second. Instead, we’re going to help you figure out which hand warmers are right for you and how to decide which ones to buy for your next winter trip. Without further ado, let’s break it down with the top hand warmers for this season, then we’ll talk about how to choose the best one for in our buying guide. What can’t be done with technology? It’s a fair question as we look at this handwarmer that’s got just about everything going for it. Two heat settings give you control over this electronic hand warmer’s output for optimizing heat and battery life. If you’ve got a phone or other gadget that’s dying, you can even give it a charge from the batteries in this hand warmer. It’s like a portable battery pack with the option to heat up your chilly hands. The EnergyFlux Ellipse is one of best hand warmers for skiing! You’ll be able to warm up your hands on both sides of the electronic hand-warmer for up to 6.5 hours on the lowest setting! Unfortunately, it’s too large and heavy to stuff inside a glove so you’ll have to find a place for it in a pocket or jacket. In my opinion, this is the best rechargeable hand warmer you can buy. What’s the biggest difference between any two electronic hand warmers? It’s definitely the form factor and the battery life. With a 6000mAh battery you’ll be able to get 2.5 charges of an iPhone 7 or up to 4 hours of warmth at 113 degrees output. That’s a lot of heat on both sides of this rechargeable electronic handwarmer. I like this hand warmer for its slimmer profile which will fit more easily into commuter cases and purses. This is definitely a good choice for a more sleek and modern elegance. Cold temperatures can really destroy the effective battery life of electronics. Luckily there’s an easy on-off switch and you’ll be able to extend the life of your battery pretty dramatically by keeping it in an inside pocket. If you looking for the best electric hand warmer, the BigBlue rechargeable is for you! I would be remiss to avoid listing the classic Zippo hand warmer as the number one choice among peers. Cold blooded individuals have more choices than ever today, yet there’s something timeless about the Zippo. It’s easy to pick up this hand warmer in both a 12-hour and 6-hour format and they’ll both be different sizes. Choose whichever one makes the most sense for your needs based on size and burn time. Without a doubt one of the biggest drawbacks of the Zippo hand warmers is that they’re constant burning once you start them. There’s no on-off switch and if you head inside, you’ll have a toasty 110 degree hand warmer burning away inside your pocket. The Zippo catalytic hand warmer has been around forever, and still the best! These are “hands down” the most popular hand warming solution for the modern cold weather pursuer. If you buy them in bulk, they’re really not too expensive but beware – they’ll add up over time compared to other options. It doesn’t get any easier to use than these disposable chemical hand warmers. Just rip open the plastic packet, put the hand warmers in your glove or pocket, and they’ll be comfortably warm within a few minutes. It does take them a while to get warm, however, so add them to your gloves before your hands get cold. Unfortunately, they do have a tendency to occasionally break open. If this happens inside of your gloves, you can pretty much kiss them goodbye. Once open, the packets spill their dark black iron powder and carbon contents everywhere and your hands will be eternally black every time you use your gloves. Something to consider. However, the HotHands, are probably the best disposable hand warmers you can buy. You’ve probably never seen a handwarmer quite like this one. Here’s the basic idea: light the solid fuel stick with a match or lighter, then simply place it inside the fiberglass insulated case and close the lid. By restricting access to oxygen, the solid fuel stick “smolders” and slowly burns at a very controlled rate which releases heat through the insulated case. Don’t worry though, because the solid fuel tabs are specially engineered to not release any smoke or odor when burning. There’s no danger of fire because the fiberglass insulation inside the case won’t combust. While this type of handwarmer was once more popular than it is today, the inexpensive fuel sticks and simplicity make it a great option. For those not fazed by the thought of combustible solid fuel generating heat, these handwarmers are among the warmest you can choose. They’re great for deep cold and situations where recharging is out of the question. With a 7800 mAh Lithium-Ion battery, the Outdoors Way electric hand warmer is the most powerful on our list. It’s ruggedly built from aircraft grade aluminum and double sided heat up to 115 degrees. 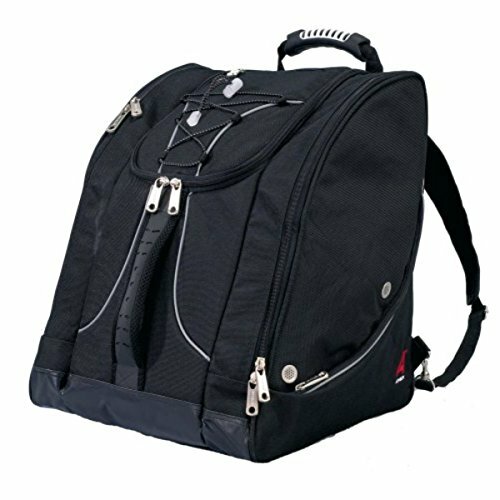 It’s also able to charge your smartphone or other portable electronics and on the lower setting heat setting of 105 degrees will give you 7 hours of warmth. I like they included a 55 lumens flashlight and SOS signal light. It’s not super bright but it’s enough so you don’t need a separate flashlight. If you’re looking the best hand warmer for hunting, the Outdoors Way is for you! For the ladies, there is a pink model and Outdoors Way makes a donation to Breast Cancer Awareness. Rounding out our list it the Celestron FireCel rechargeable hand warmer. It’s a bit smaller and more compact but still has a 5300 mAh lithium ion battery that provides up to 12 hours of warmth. One thing I like about the Firecel is the dual mode capability. You can choose to heat only one side or both depending on how you use it and how long you want the battery to last. Like the other rechargeable hand warmers, it will charge your smartphone or other portable electronics. The FireCel is designed more for hikers and backpackers with its variety of signaling features. It has 5 modes and a red and white flashlight and SOS mode. For under $40 it’s one of the best reusable hand warmers on the market! If you don’t need 12 hours of heat, there is a 2500 mAh model for less then $20. Some handwarmers are dead simple and disposable – you’d think there’s not much that goes into making a decision about the purchase. Fortunately for you, I know better and I’m going to help you avoid a few critical mistakes with your choice. When choosing a hand-warmer twenty years ago, there was only one option: catalytic hand warmers. It’s a pretty simple concept: use a fuel source and a type of harmless energy release to generate heat in a manner that can be carried. Today, we’ve got a lot more options when it comes to hand warmers. With the improvement of electric batteries and nano-tech there are electric handwarmers galore. Many people aren’t fully comfortable carrying around a handwarmer fueled by lighter fluid and so these newer tech hand warmers have had a “warm” welcome into the market. There’s also the disposable and effective chemical hand warmers. These are cheap, one time use packets which heat up when exposed to the air and will last for ~8 hours per use. They’re popular and get the job done. Today’s electric hand warmers come with a heap of advantages that make it hard to consider conventional hand warmers a viable option any more. Plug your hand warmer into a socket overnight to charge the device and have a reliable heat source that will last all day without a problem. What advantages to electric handwarmers have? You can turn the handwarmer on and off to save battery life. Often you can even plug a phone into the handwarmer and recharge your phone using some extra juice from the battery! Of course, this will shorten the duration of the hand-warmer but I think it’s a fair trade. This is just another way of saying “hand warmer that burns fuel”. Without a doubt, the most striking example is the Zippo handwarmer which has been around for decades and still stands the test of time. Catalytic handwarmers use a fuel source such as lighter fluid to combust in an extremely slow and controlled reaction to release heat. While it’s a little disconcerting to have something burning in your pocket, these handwarmers have been used and loved for years. Most chemical handwarmers operate by taking advantage of the exothermic reaction of rusting iron. By mixing iron powder, water, and carbon inside a fiber pouch these little handwarmers will start a chemical reaction once exposed to the air. Essentially your hands are being warmed up by a hyper-speed version of the same process which will eventually destroy the undercarriage of your car. Chemical hand warmers are without a doubt the most popular solution I see at the ski resort today. Naturally your buying a hand warmer to keep your hands warm so the length of time it stays warm is one most important factors. There are very wide variations depending on the heat source used. So consider how long you will be outside needing the heat and match the type of warmer. Here are the approximate hours you can expect. One of the biggest differences is going to be cost. A reusable hand warmer will cost more up front but since you can either recharge it or refill it with inexpensive fuel the cost of ownership is much lower over time. Single use warmers have the advantage of size and drop dead simplicity. 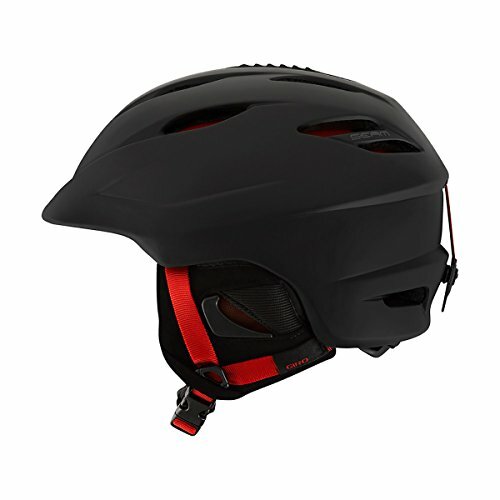 They are ideal for activities like skiing, snowboarding, camping & hiking, climbing etc. Most disposable warmers will fit in your gloves or boots unlike reusable warmers. So you may want to consider using both types. Going hand in hand with hand with length of heat is how hot the warmer gets. This is partially a function of the heat source. Battery warmers don’t usually get as hot as a warmer using fuel or a chemical reaction. On the low end you should expect just over 100 degrees F and up to 130F. Much over that and you can burn your hands and under 100F it won’t provide much warm. Rechargeable heaters usually are more flexible giving you at least two heat settings while catalytic and disposable have one temperature only. Hand warmers can be used for a wide variety of outdoor activities. Probably the most popular use for them is skiing and snowboarding. Skiers and boarders mostly use the disposable variety and slip them into their gloves and boots for all day warmth. 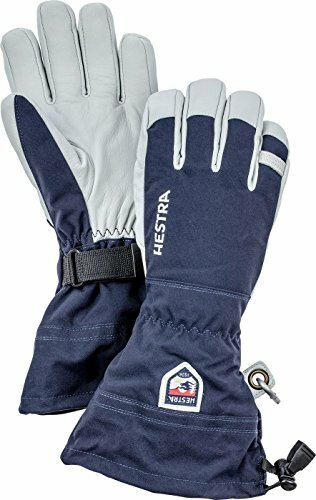 People who suffer from cold feet and hands they can make all the difference on the slopes. Another very popular use of warmers is for hunting and fishing, particulary ice fishing. Both of these activities involve spending long periods of time in one place not moving. Not being able to move makes it that much more difficult to keep warm so hand and feet warmers can make a huge difference in comfort level. 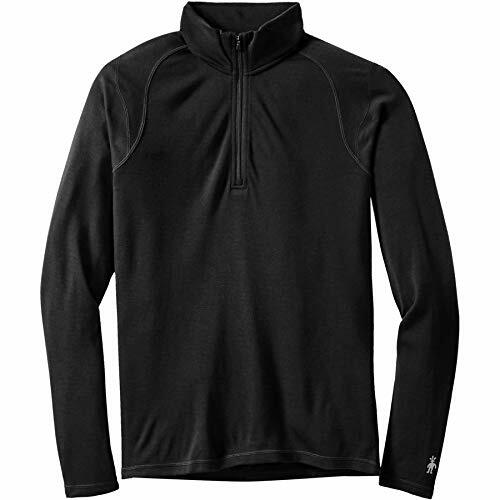 Using a heated jacket can also make a huge difference. One other less common use is for golfers, concert goers where they are outdoors in cooler weather and necessarily in the winter. Workers who spend long periods of time outdoors as well can also find wand warmers useful. Which type of handwarmer you choose will be largely dependent on your lifestyle. If you’re in the cold every day, all day, then you may choose a rechargeable handwarmer. In this situation, you probably want some way to warm up your hands on the bus or in the car before things get warm. Maybe you’re walking down the windy streets of Chicago in mid-winter. Rechargeable hand warmers are the best solution here as you’ll have access to electricity and the long-term cost of disposable hand warmers will quickly add up. If your hands are always cold, then you’ll want chemical hand warmer packets to put inside your gloves. They’re the only solution that’s small enough and flexible enough to fit inside a glove. This will quickly get expensive at about $1 per hand warmer, but the only other solution is a heated glove. If your hands are only sometimes cold, you may opt for a rechargeable hand warmer which can be kept turned off until things get really cold. Then you can tuck your hands into your jacket and warm back up while you sip on a hot cocoa. If you really want to convey some class at a winter wedding, or cold weather meeting – you may consider the classic Zippo hand warmer. It’s sleek and elegant and has a slight air of “lumberjack” about it. Combined with the right dress clothes, this might just convey the sense that you’re a bearded cabin dweller at heart but know how to clean up when the time is right. Q: Where do I put my hand warmers? A: The best place to put a hand warmer is in a dedicated pocket on your gloves. Some gloves in the last few years have been coming out with zippered pockets on the back of the hand where you can put hand warmers. Of course, these are only safe for electric or disposable hand warmers. For catalytic or fuel based hand warmers, they’re usually just too large to fit. For that reason you’ll have to keep them in a pocket. For active tasks, like skiing or snowshoeing you’ll probably want those hand warmers right in your gloves. If your gloves don’t have a hand warmer pocket you may put them inside the glove itself. 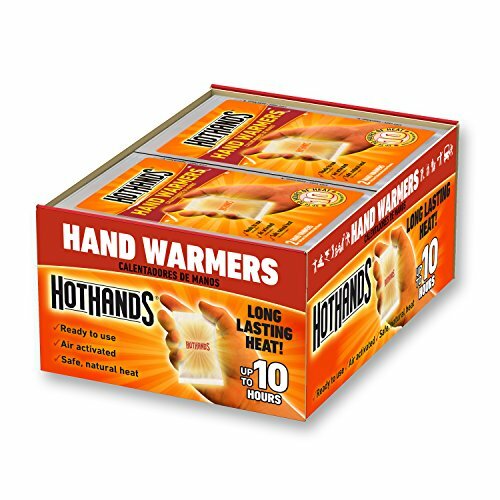 Be careful, though, because these hand warmers can actually get hot enough to be dangerous directly next to skin. Q: Are chemical hand warmers bad for the environment? A: I can’t really say definitively, but if I had to make a guess I’d say they’re relatively neutral on the scale of “bad to the environment”. Most chemical hand warmers are made from powdered iron which releases heat as it oxidizes in exposure to atmospheric gasses. Of course, iron is a natural part of the outdoor resources around us but I’m not saying we need to be careless with it. I’m just saying it’s relatively harmless compared to many chemicals we use daily. Probably the worst part about chemical hand warmers are the fiber packets they come in as it pertains to negatively affecting the environment. They fall out of gloves all the time and, on busy ski hills, when the snow melts in the spring these little white rectangles litter the landscape. Essentially, use them responsibly, try not to litter, and dispose of them properly at the end of the day. Just like anything else. Q: Can I use hand warmers in my boots? A: Again, simply because of the size, the only warmers that will fit in boots are chemical packets. 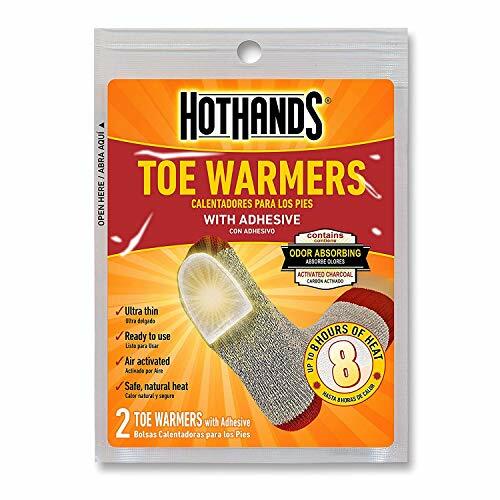 In fact, some companies make sticky half-size warmers specifically for going on your sock and keeping those toes warm all day! 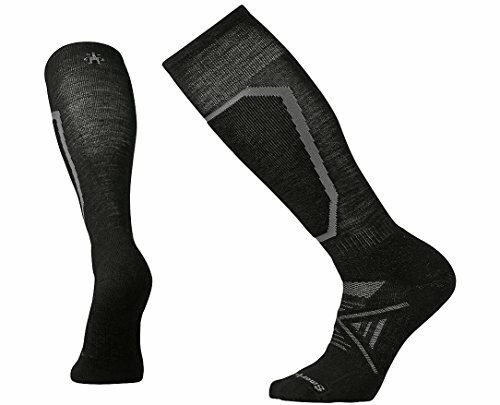 If you’re skiing, snowboarding, or snowshoeing you might want to look into these toe warmers. Another great solution is to use electric boot warmers. You can find them made for regular boots, snowboard boots, or skiing boots. Usually they replace the standard footbed with one that has a heating element. Dedicated boot warmers have the added benefit of not affective the ergonomics of the boot itself! Q: How long will my hand warmers last in storage? A: That’s a great question. Most disposable hand warmers have an expiration date on them. If you’re thinking ahead then you know you should probably avoid stocking up on too many of them. Unused chemical hand warmers will likely go bad after several months so use them up within a season or two. Once you open a hand warmer packet, there’s no real way to stop it from activating. It will “burn out” after a few hours and you’ll just have to use another one. Q: When is the best time to use a catalytic or fuel hand warmer? A: Because both of these types of hand warmers are too large to fit in a glove, it begs the question of when to use them. If you have to take your hands out of your gloves and stick them in a pocket with a hand warmer, how effective can it be? In situations where you may be a little more passive – such as ice fishing, working in the garage, or tailgating – these larger hand warmers might be a decent idea. You can cup them in your hands, gloved or not, to warm up! What it boils down to is that the more passive your activity is, the better a catalytic or fuel-based hand warmer will be for that activity. It’s not too difficult to find great options for any cold hand situation. For those with gloves participating in active sports, the best choice might be chemical handwarmers. The small, flexible packets are great for including inside your gloves. Many of us will like the appeal of a handwarmer with on-off functionality and the backup to charge our phone. It’s always handy to have a spare battery around and the added benefit of warming your hands on the family ski trip can’t ever hurt! Whatever type of hand warmer you decide to go with, the classic Zippo is a high content for sleek style and ultra-long run time. Make sure you bring along an extra bottle of lighter fluid, though, or you’ll be out of luck! I hope this guide was helpful for finding the best hand warmer to fit your needs. If you want to comment or recommend a jacket I didn’t include, please use my contact form to get in touch.